V2121. 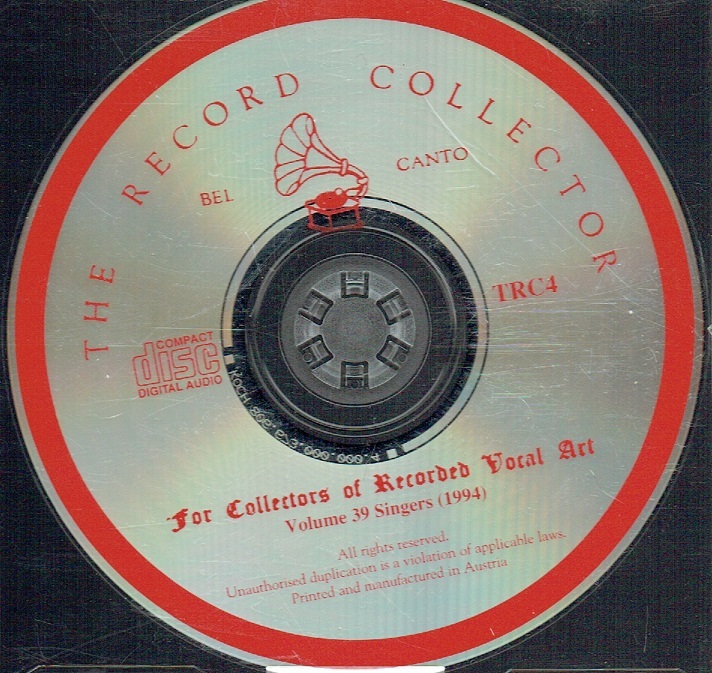 THE RECORD COLLECTOR – 1994 Issue, Vol. 39, incl. Adamo Didur, Nina Koshetz, Ester Mazzoleni, Aristodemo Giorgini, Giuseppe di Stefano, Helena Arizmendi John O’Sullivan & Amy Castles. 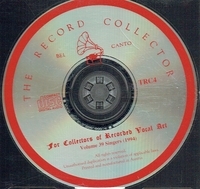 (England) The Record Collector TRC 4. Transfers by Roger Beardley. Long out-of-print, very rare & final copy!